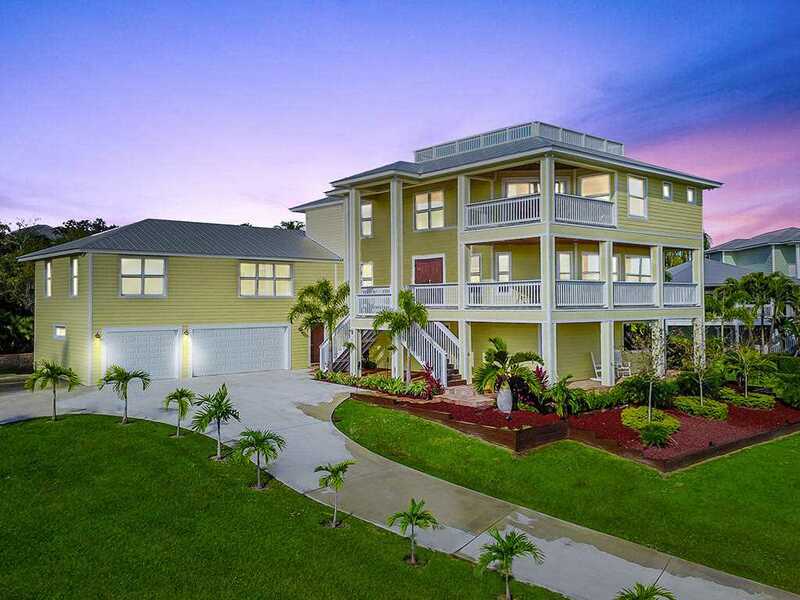 Enjoy breathtaking panoramic views of the Indian River from all levels of this stunning Jensen Beach home on a 1/2 acre lot. Featuring 4BR/3.5BA located on a private and secluded cul-de-sac in the coveted neighborhood of Pineapple Bluff, just a short walk to downtown Jensen or a quick bike ride to the beaches. Surrounded by nature, this 2016 constructed home was built hurricane proof, solid CBS with reinforced concrete and impact windows throughout. A few of the high end features in this home include 800sf of rooftop, double washer dryer on 2nd and 3rd floor, stainless steel appliances, vaulted ceilings and a designated area prepped for your future elevator! Enjoy your morning coffee feeling the gentle ocean breeze as you watch the sunrise over the Atlantic Ocean. Lot Size: 0.51 Acres / 22389 Sq. Ft. Directions:From Jensen Beach Blvd go North on Skyline Dr to right on NE Cheri Dr to cul-de-sac. On the left. SchoolsClick map icons below to view information for schools near 3801 NE Cheri Drive Jensen Beach, FL 34957.